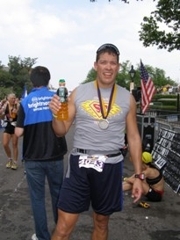 In the spring of 2002, John began a new hobby of running where he participated in many 5K race events. Remy and Cooper were not yet born, but this hobby would have an amazing impact on the lives of the Fontenot family in years to come. After Remy was born in 2003, John continued to participate in 5K races where he pushed Remy in a jogging stroller. These events became regular family outings for John, Ashley and Remy. At the end of 2004 Cooper was born with his heart defect. 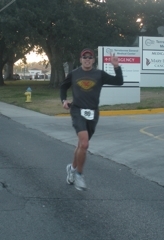 In the fall of 2005, after nearly a year of surgeries and hospital visits, John and Ashley founded Cooper Life Fund...and the first Super Cooper 5K was launched. 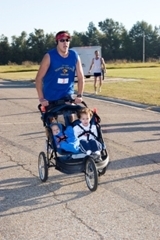 John continued to run the 5K's with a double jogging stroller with both Remy and Cooper being pushed along. 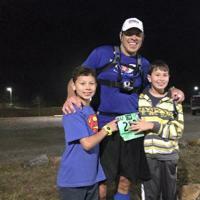 With both boys old enough to run the races themselves, John is back to solo races. John spends as much time as he can with his family and cheers them on in their own individual quests for health and fitness and fun. "Staying fit and staying active is a huge part of our lives. We owe it to our children to expose them to the things in life that will keep them involved in an active lifestyle. Especially for Cooper who must remain heart-healthy his entire life".